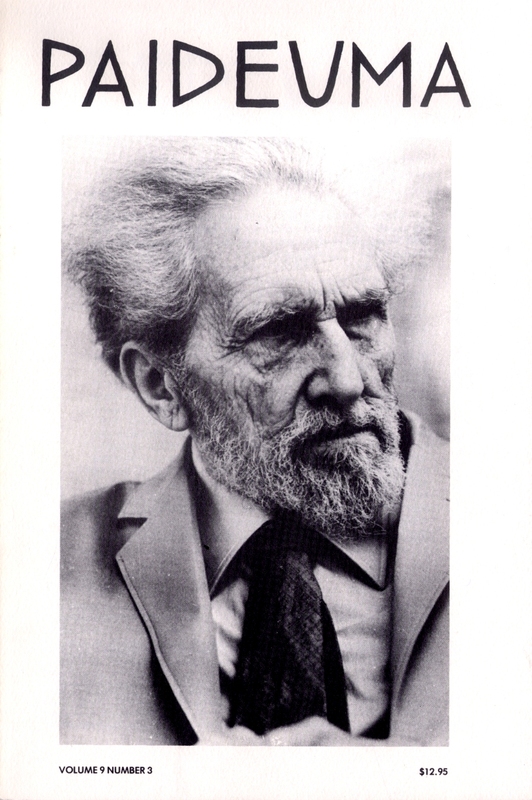 This cover is an undated photograph of Ezra Pound, provided with permission by Dr. Bruce Richman, Baylor College of Medicine, Houston, TX. 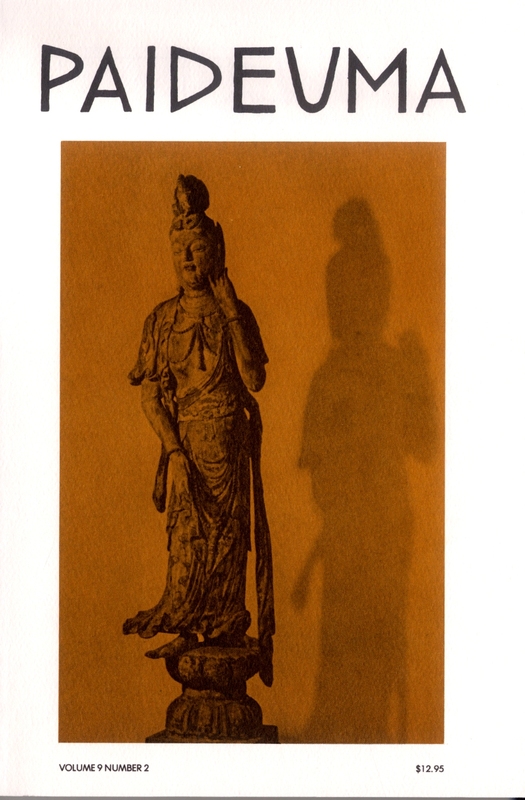 This cover shows a statue of a standing Bodhisatva, made of wood with traces of color. 195 cm high. From the Sung dynasty. 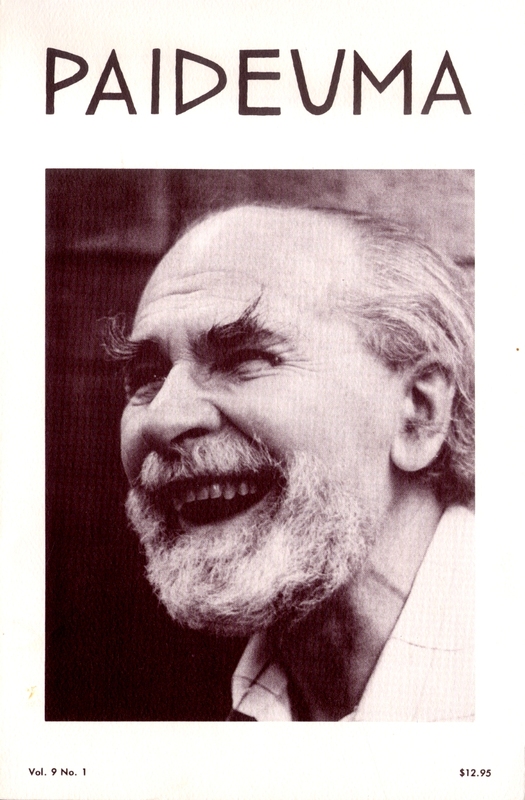 Reprinted from A Book of Chinese Art (London: Spring Books, 1966).